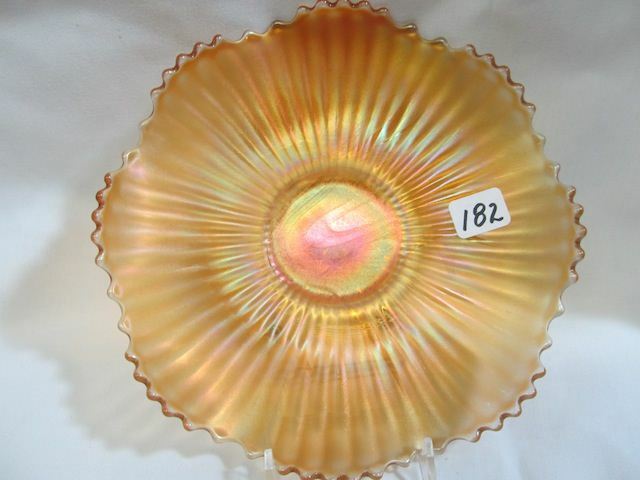 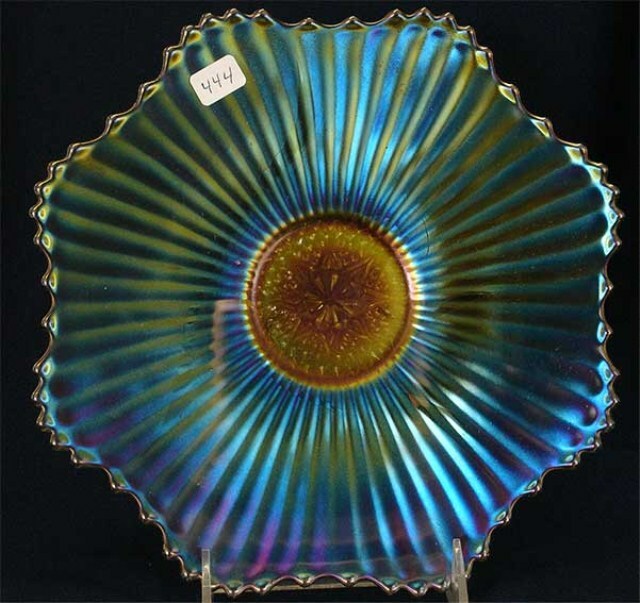 Although these scarce plates seldom come up for sale at auction, Carl O. Burns, in his 1996 book on Imperial, points out that the pattern was also made in salad sets of the 8-inch plate, a 12-inch plate and a 10-inch bowl. 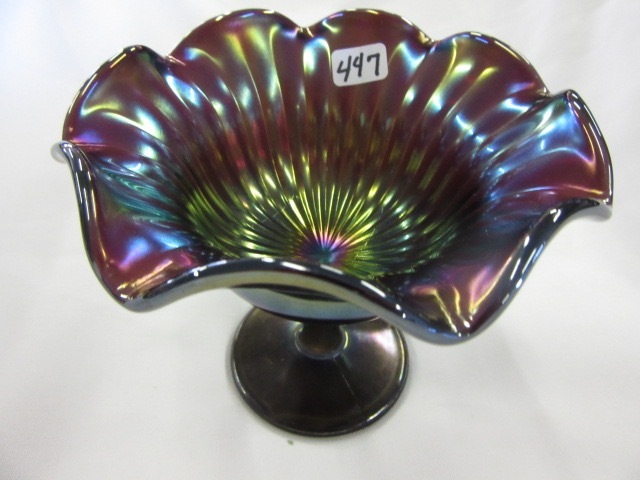 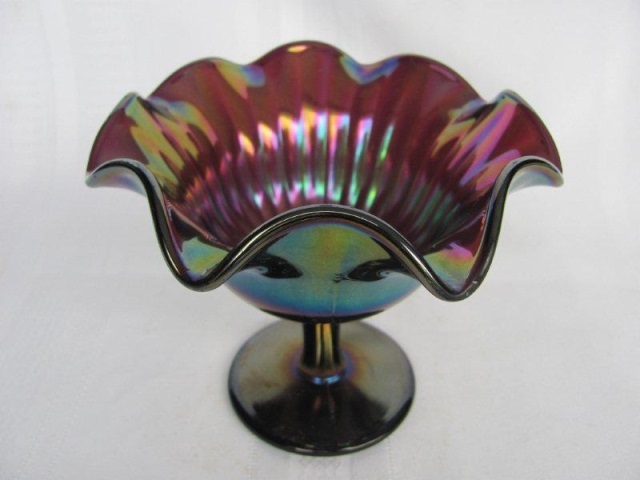 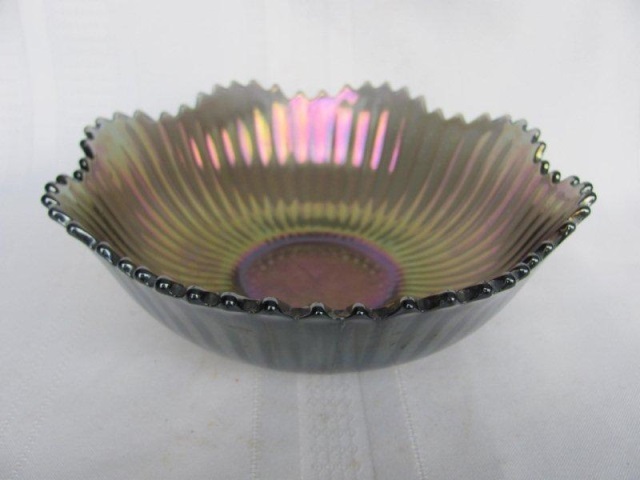 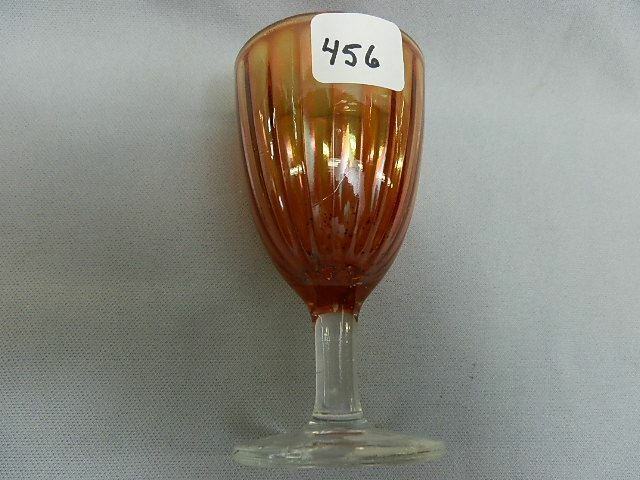 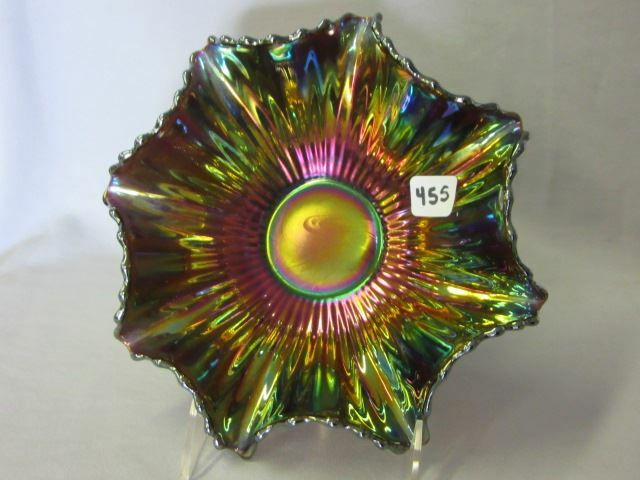 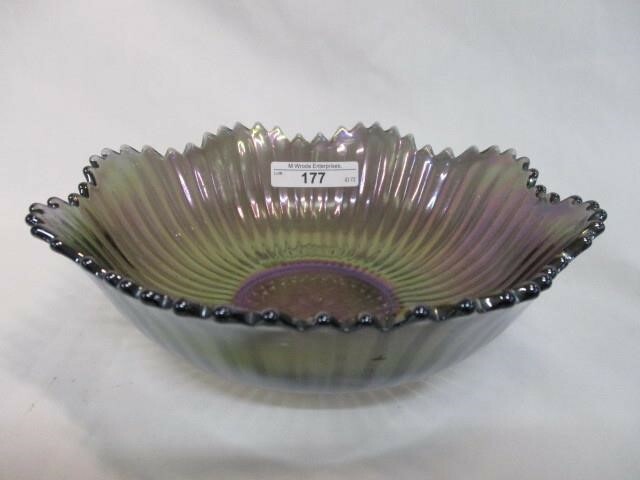 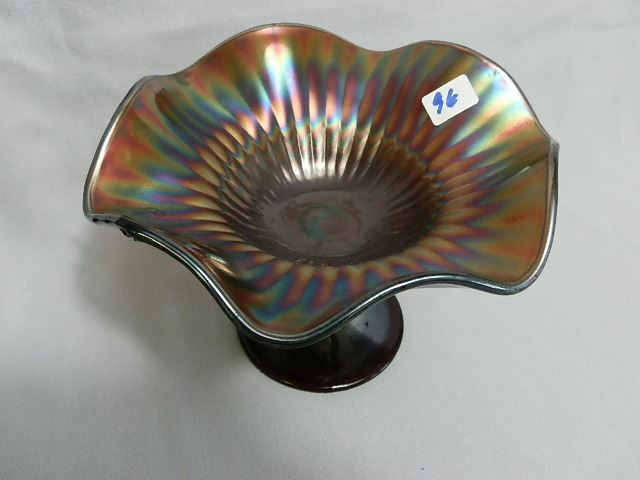 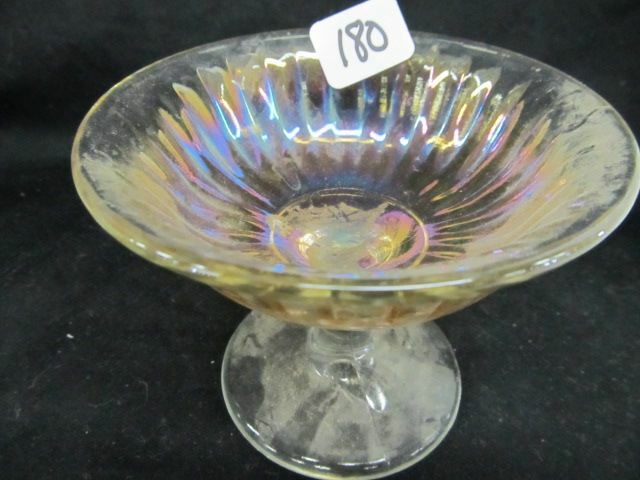 Also part of the pattern, according to Burns, were a sundae set comprised of 9-inch bowls and stemmed sherberts, as well as goblets, champagne glasses, claret glasses, wine glasses, cordials, custard cups, water pitchers, and tumblers. 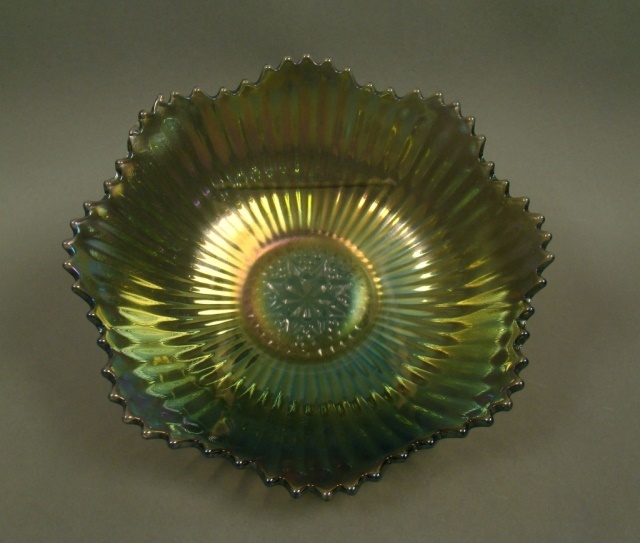 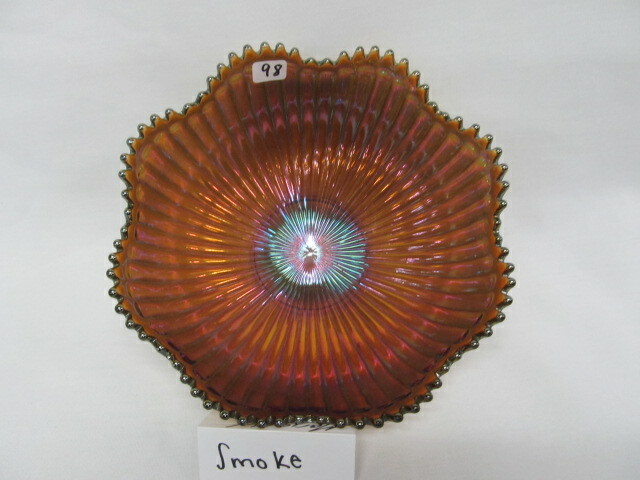 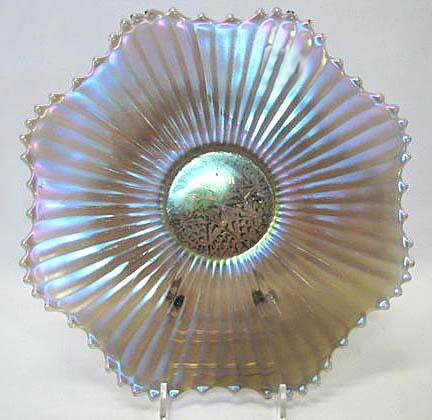 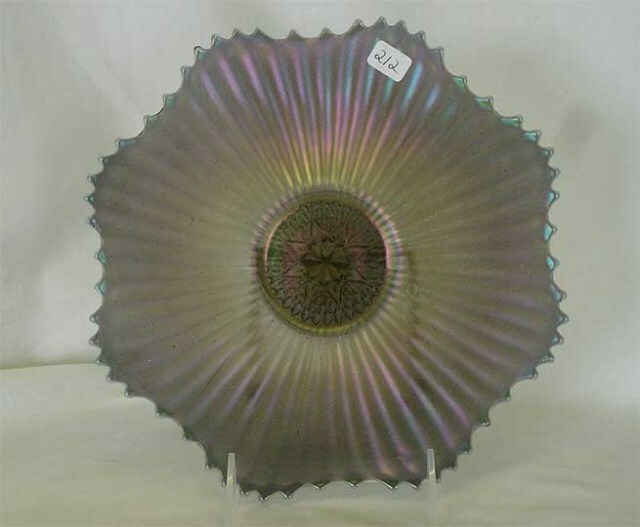 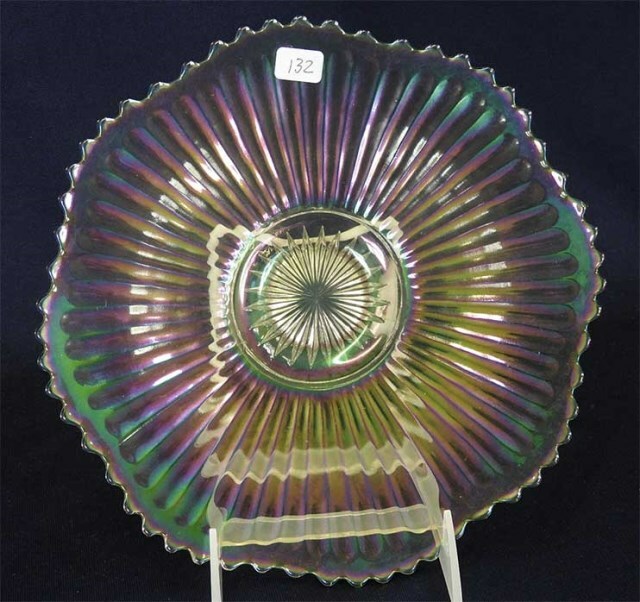 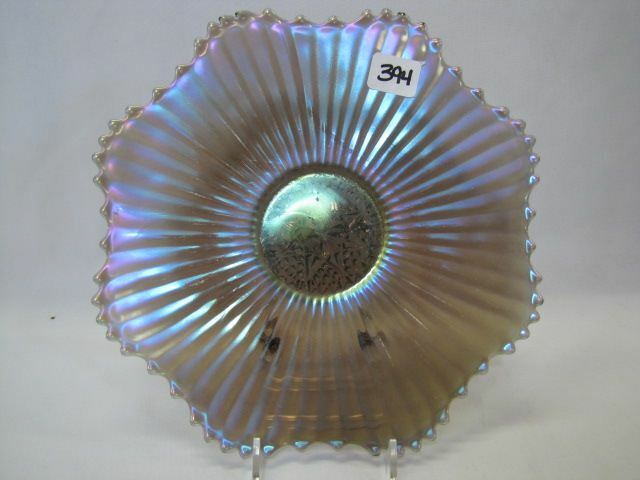 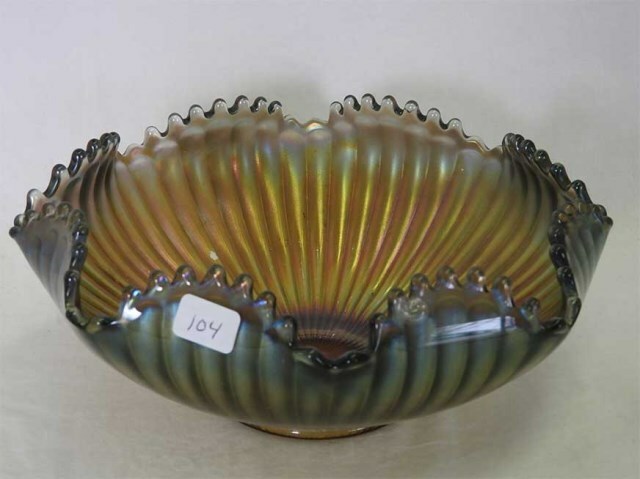 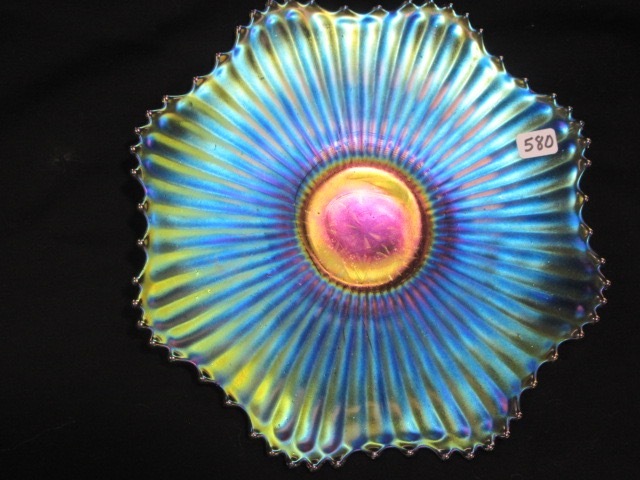 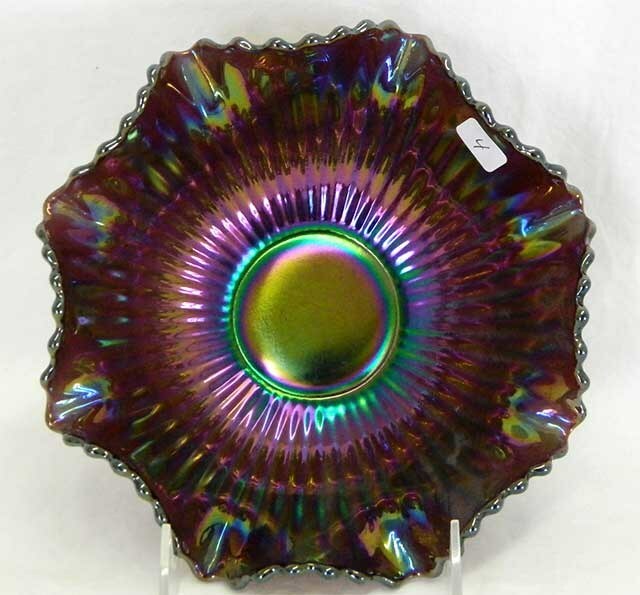 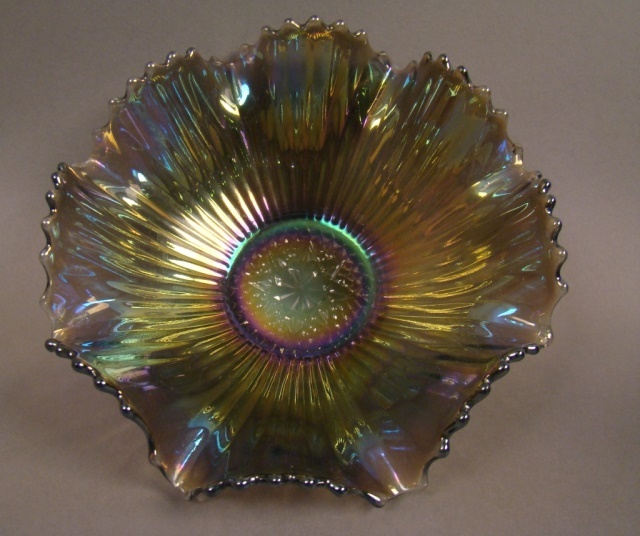 The smoke plate above sold for $95 at a 2011 auction.